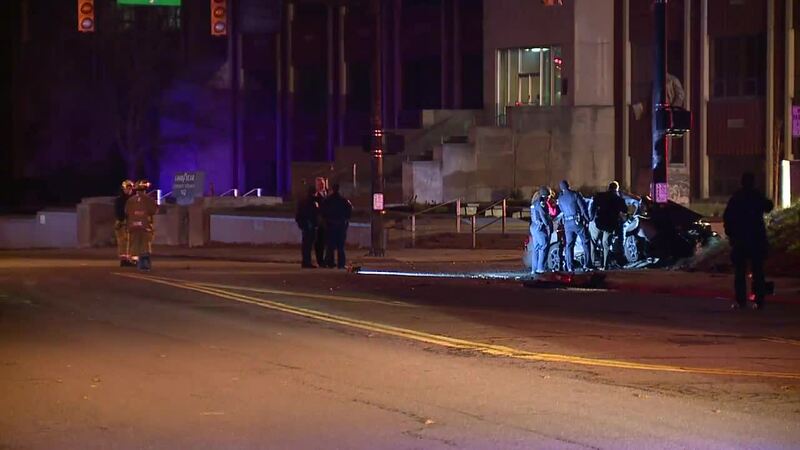 Four people are dead after a crash in Akron early Monday morning, according to the Summit County Medical Examiner's Office. Shortly before 3:30 a.m., a car traveling west on Goodyear Boulevard near Kelly Avenue traveled off the road and struck a cement retaining wall. 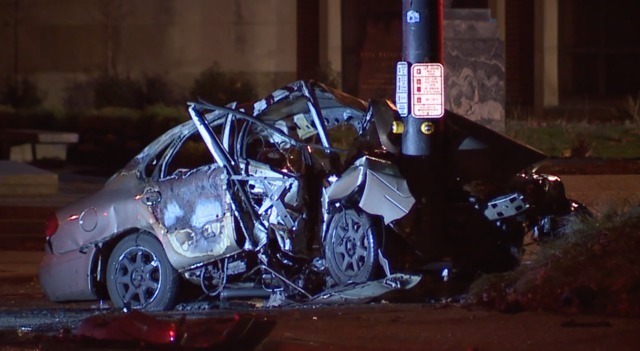 The car traveled back across the road and struck a light pole, causing it to catch fire, according to the medical examiner's office. All four occupants inside the car were pronounced dead at the scene, the medical examiner confirmed. The crash closed Goodyear Boulevard between Cook Street and North Johns Avenue. The identities of the four people have not yet been released.